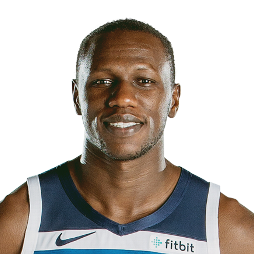 Gorgui Sy Dieng (/ˈɡɔːrɡi dʒɛŋ/; GOR-ghee Jeng; born January 18, 1990) is a Senegalese professional basketball player for the Minnesota Timberwolves of the National Basketball Association (NBA). 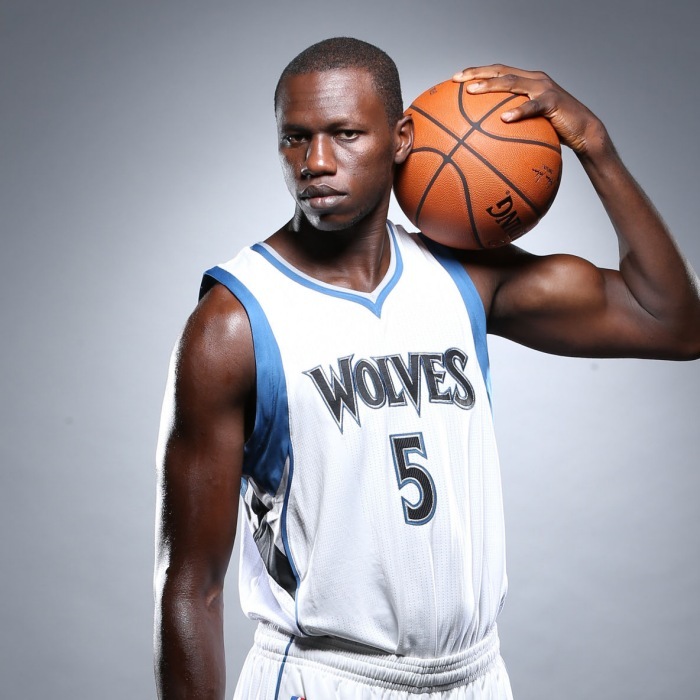 Gorgui means "the old one" in his native language Wolof. Dieng attended the Sports for Education and Economic Development (SEEDS) Academy in Thies, Senegal. While at SEEDS, Dieng had a 3.2 GPA. He was invited to the "Basketball Without Borders" camp in South Africa in 2009 as one of 60 promising players selected from across Africa, and was named MVP of the camp. Dieng transferred to Huntington Prep in West Virginia for the 2009–10 school year, where he played for coach Rob Fulford. He averaged 15.4 points, 12.6 rebounds and 7.2 blocks per game during his senior season at Huntington Prep. Dieng was recruited by Marquette, Marshall, Colorado, and Louisville among others who came in late. His high school coach Rob Fulford said "Academics are no question, He passed the SAT six months after learning English and passed with 400 points to spare." The most interest was from Louisville and Marshall. Then on March 30, 2010 head coach Donnie Jones left Marshall to become the head coach of the University of Central Florida. The next day, Rick Pitino signed a contract extension through 2017 with Louisville. On April 26, 2010 Dieng verbally committed to Louisville. Louisville assistant coach Walter McCarty, who has NBA experience, helped Rick Pitino land Dieng in a Cardinals uniform. Considered a four-star recruit by Rivals.com, Dieng was listed as the No. 10 power forward and the No. 44 player in the nation in 2010. Dieng was ruled ineligible by the NCAA when he first arrived at Louisville forcing them to hold him out of practice and individual workouts. Louisville appealed the NCAA's decision and on October 26, 2010 it was announced that the NCAA reversed its original decision and ruled Dieng eligible immediately. As a freshman Dieng saw action in 29 games averaging 16 mins a game. He scored 5.7 points a game, pulled down 4.4 rebounds and blocked 1.9 shots a game in his limited action. The Cardinals finished the 2010–11 season with a 25–10 record, 12–6 in Big East play tied for 3rd and lost in the championship game of the 2011 Big East Men's Basketball Tournament to Connecticut. They received an at-large bid and a #4 seed in the 2011 NCAA Men's Division I Basketball Tournament where they were upset in the second round by #13 seeded Morehead State. As a sophomore, Dieng started at center for the 2011–12 Louisville team that reached the Final Four of the NCAA Tournament. In the 2011–12 season, Dieng led the Big East Conference in blocks, and set the all-time school record for blocks in a season. On March 22, 2012, Dieng matched a Louisville tournament record with 7 blocks in a game in a 57–44 Sweet 16 victory over Michigan State. Dieng was named as a student representative to the board of directors of the U of L athletic department for the 2012–13 school year, succeeding his graduated teammate Kyle Kuric. Despite being a junior, Dieng was honored on Senior Day in 2013, due to the fact that he would forgo his last year at Louisville to enter the 2013 NBA draft. On June 27, 2013, Dieng was selected by the Utah Jazz with the 21st overall pick in the 2013 NBA draft, and then traded to the Minnesota Timberwolves later that night. On March 20, 2014, in a game against the Houston Rockets, Dieng recorded 22 points and 21 rebounds, the first ever 20-20 game by a rookie in Timberwolves' franchise history. He also became just the sixth player since the NBA began tracking starts in 1970 to have at least 20 points and 20 rebounds within their first three career starts. On April 11, also against the Rockets, Dieng scored the game-winning basket with 4.6 seconds left and finished with 12 points and 20 rebounds. As a result of his improvements throughout the second half of the season, Dieng was named to the NBA All-Rookie second team. On January 12, 2015, Dieng tied his career high of 22 points in a loss to the Denver Nuggets. On January 28, he was named a representative of Team World to compete in the 2015 Rising Stars Challenge. On August 1, 2015, Dieng played for Team Africa at the 2015 NBA Africa exhibition game. On December 20, 2015, Dieng had a then season-best game with 20 points and 10 rebounds in a 100–85 win over the Brooklyn Nets. On February 6, 2016, he recorded a career-high 24 points, 13 rebounds and seven assists in a 112–105 win over the Chicago Bulls. On October 31, 2016, Dieng signed a four-year, $64 million contract extension with the Timberwolves. On January 15, 2017, he scored a season-high 21 points in a 98–87 loss to the Dallas Mavericks. On March 30, 2017, he recorded 11 points, a season-high 15 rebounds, six assists and three blocks in a 119–104 win over the Los Angeles Lakers.